The Most Amazing Alfajores - Pretty. Simple. Sweet. 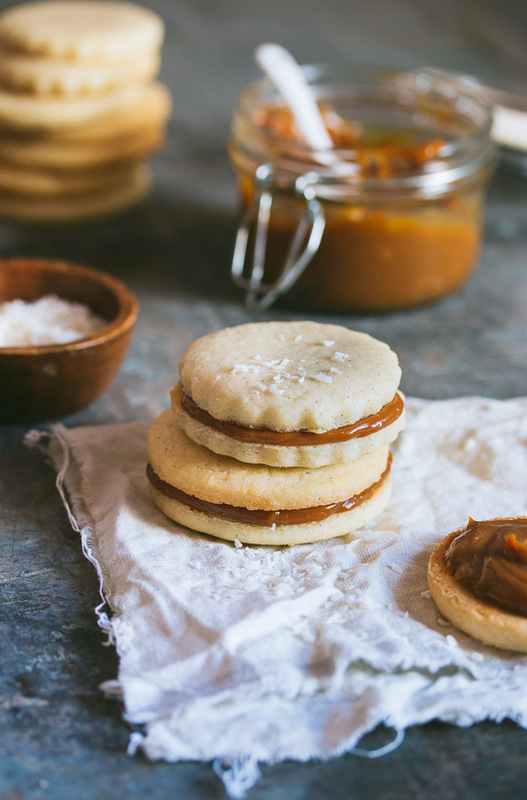 Classic alfajores filled with dulce de leche and rolled in shredded coconut. They are so soft they’ll melt in your mouth! As far as I know, there are two ways of making alfajores: the Argentinean style and the American style. 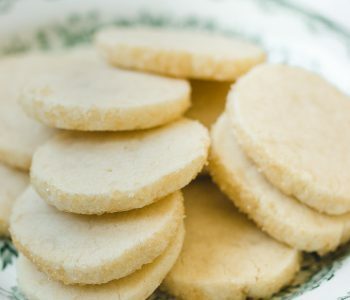 While the latter is usually made of a simple shortbread cookie, the classic Argentinean cookies are so much better in texture, and are the most melt-in-your-mouth cookies on this planet. Ok, that may be an exaggeration, but let me have my moment. 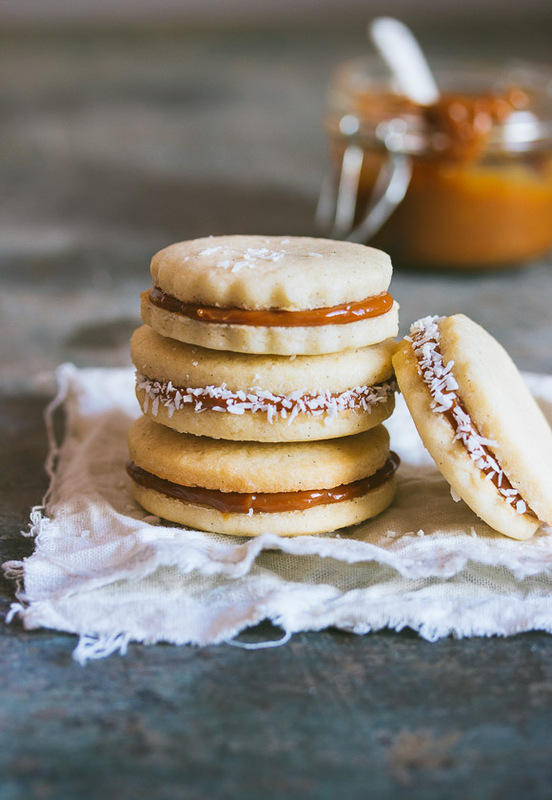 Alfajores are filled with dulce de leche (which is rather caramel-like) and rolled in coconut. 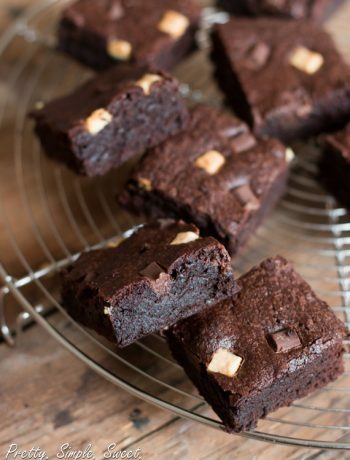 Not only is this combination heavenly, but the cookie itself is extremely soft and tender. 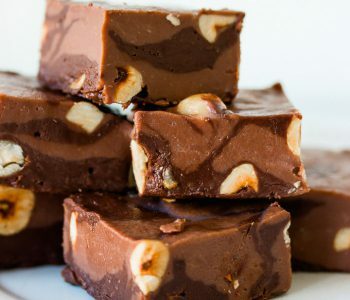 The coconut really adds a great flavor and cuts some of the sweetness, so I strongly suggest adding it. Also, don’t bother to make your own dulce de leche at home. 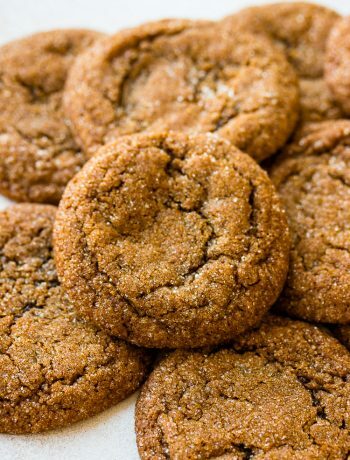 Store-bought is just as delicious for these cookies. What makes the superb texture that I simply can’t get over is the cornstarch. There’s quite a bit of cornstarch in this recipe, but you don’t end up with a strange aftertaste like in some others. Using egg yolks instead of whole eggs also contribute to that tenderness. When making the dough, if it feels dry (maybe due to inaccuracy of cup measurement), then add cold water or milk, just a little at a time. Also, mix the dough just until the ingredients are combined. If mixing for a long time, the cookies can turn out tough. Overall, play with the dough as little as possible. Let’s talk about the chilling time for these cookies. I know you want to take some shortcuts here, I get you. You just want your cookie and you want it now. Totally been there. But for cookies that hold their shape well and don’t spread out while baking, the dough has to be chilled long enough. The first chilling is once the dough has been made. It’ll be too soft for rolling, so you’ll need to chill it for 1-2 hours, until firm. The second chilling is before baking the cookies. Just place the sheet of cookies in the fridge or freezer until they’re firm, at least 15 minutes. 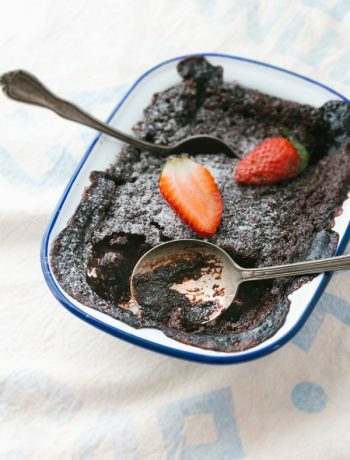 In a medium bowl, sift together flour, cornstarch, baking powder, and baking soda. Set aside. In a mixer bowl fitted with the paddle attachment, beat butter, sugar, and lemon zest on medium speed until light and fluffy, about 3 minutes. Beat in egg yolks and vanilla extract just until combined. Reduce speed to low. Add the flour mixture and beat just until combined. Do not overmix or the cookies will turn out tough. Form the dough into a ball, then flatten slightly to form a disc. Wrap with plastic wrap and refrigerate for 1-2 hours, until firm enough to roll. Take the dough out of the fridge and let it sit on the counter for a few minutes to soften slightly for easy rolling. On a lightly floured surface (or between 2 pieces of parchment paper), roll the dough to a 1/8 or 1/4-inch (3-5mm) thickness. Cut out into rounds using a 2-inch (5cm) fluted or round cookie cutter, and place the cookies on baking sheets lined with parchment paper. Preheat oven to 350F/180C. Bake for 7-10 minutes, or until cookies appear golden brown at the edges. Allow cookies to cool in the pan for 10 minutes, then gently transfer to a wire rack to cool completely. 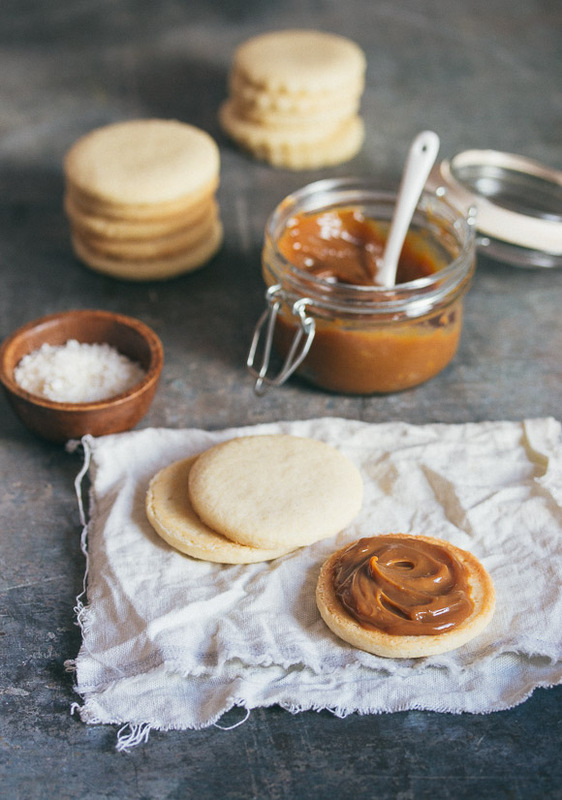 Spread the bottom half of the cookies with dulce de leche (about a teaspoon). Sandwich together with remaining cookies, pressing slightly so that the caramel oozes out the sides. Roll the sides in shredded coconut. I cant wait to try these out! Ive been looking for a recipe for alfajores to make for my Colombian husband 🙂 Ive found a few recipies but i like how you give details on how to complete each step to make it fool proof! Great site. Hi Cheska! The dulce de leche kisses look beautiful! However, I’m not sure if the dough will work for those cookies. 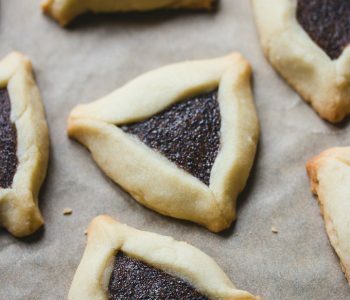 Maybe Google ‘filled cookies’ to come up with some ideas! Oh my goodness, they look absolutely divine! Beautiful photography, too, gorgeous light and styling. Thanks for the recipe. 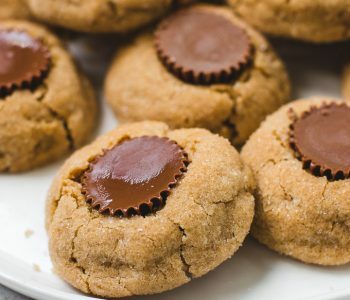 Made these cookies today and they were just great! Can’t get over how tender they were. I just made the dough but I wasn’t sure how dry / wet the dough should be? Initially it was a bit sandy but I added a little water (didn’t want to add too much)… do you know what the consistency of dough should be like? It still seemed a little dry. Alfajores dough is quite soft. As with any other dough, if it’s crumbly add a bit of water, or if too wet, a bit of flour, until it comes together. It’s also important to chill the dough, otherwise it would be too soft to work with. Your recipe is as close to my ex sister in law. After my experience purchasing a couple from a local patisserie today I knew I had to come home and bake!! I’m pretty excited to taste the final product!!! 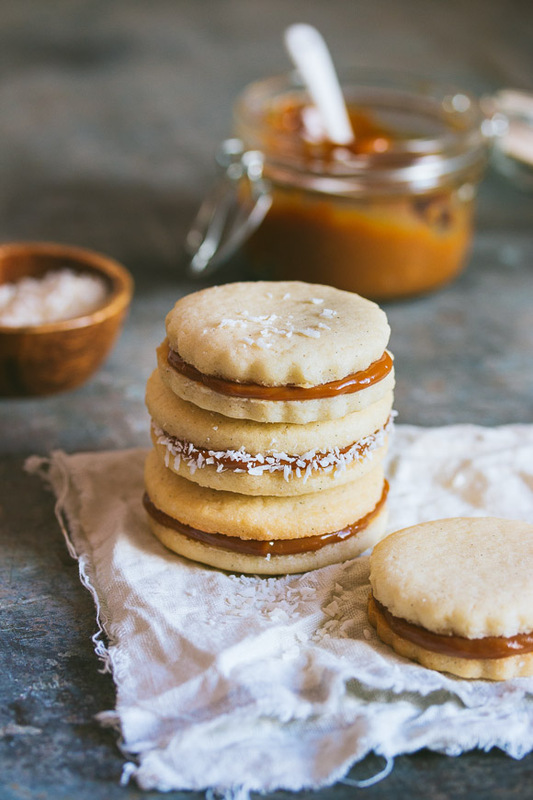 Best recipe for alfajores dough ive ever had….super easy to handle. Thank u so much!!!! Ive teied many recioes and this is the best! Great recipe! My coworkers are going nuts over them right now!!!! I’m so glad!! Thank you so much Iva! 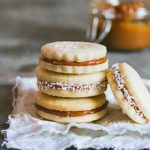 We’ve tried many recipes for alfajores over the years but my mom agreed that hands-down, this recipe has been the best so far. 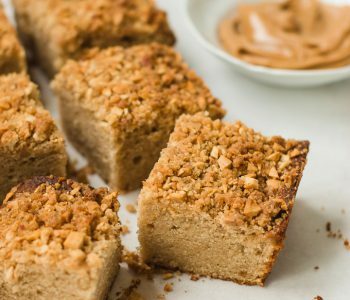 The cookies come out with just the right amount of crumble and are absolutely delicious. Love how the lemon and coconut play off each other, gives the sandwiches a bright twist! How much is 1 and 3/4 stick of butter in cups? That’s 14 tablespoons (or 1 cup minus 2 tablespoons). The most tender cookies I’ve ever had. Thank you! Sorry Heather but I have no experience baking with gluten-free flour. Can this dough be made ahead of time and put in the freezer or fridge for a couple of days? Can I sub butter with olive oil? 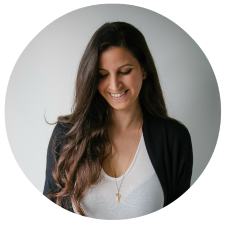 This recipe won’t work with olive oil. I mention in the recipe that if the dough is hard to roll just let it sit on the counter for several minutes to soften.